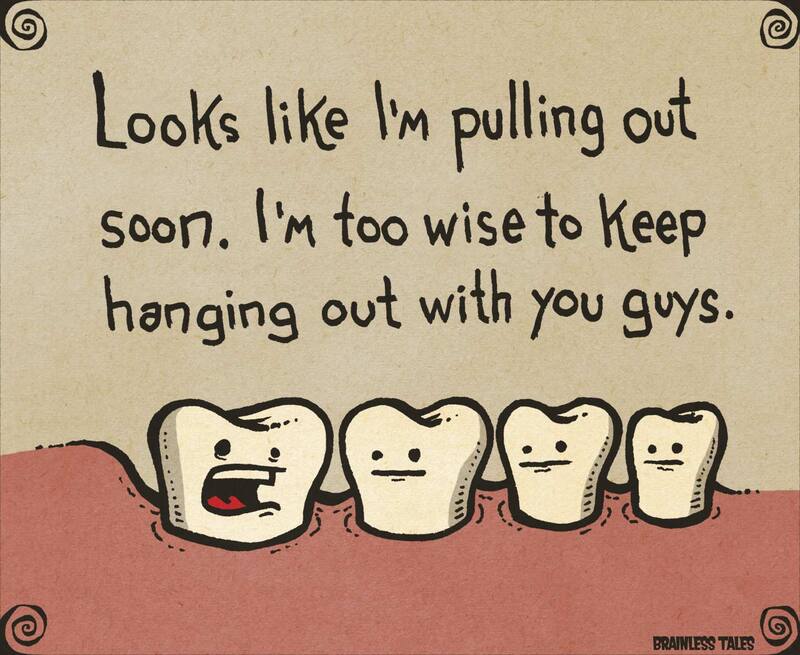 Wisdom Gained Trough Wisdom Tooth Extraction? I recently had two wisdom teeth removed and I must say it was one of the most painful experiences of my life. The healing process has dragged on longer than I expected. Yet, despite of the unfortunate symptoms I’ve had to bear with, this has offered several benefits and surfaced interesting realizations that I’d love to share with you. But first… where have you been, Diana?! I know, I know.. I haven’t posted in quite a bit! But it’s because several things have gotten in the way between me and Conscious Nourishment. You see, I’ve been working hard on my new healing art and jewelry business and it has taken much of my time, love and dedication. Also, at the end of last year I slowly started allowing cooked foods back into my diet, more than I’d like to admit, but mainly because I wanted to reduce nuts and fats and replace the comfort of these with simple cooked carbs. I guess it’s good that I got my body accustomed to this because I flew back home for over a month, and in Miami it’s not quite as abundant in vegan foods as it is in LA, let alone in raw vegan options. Having to eat out most of the time I was eating cooked foods once a day. And although this blog was never about being a 100% raw foods purist, it felt highly hypocritical on my end to be cheering ‘Raw Raw Raw’ on my blog and eating cooked foods off of it. So this has been the obstacle between me and my posts, yet it’s presented important questions to me about my blog and its purpose. I see this now as something super positive because its forming ideas of evolving the blog to topics deeper than raw living foods (more to come). And these ideas reflect my current heart’s direction as it is my wish to always be as authentic and honest as I can possibly be on this platform. So after my cooked food hibernation, coming back to LA, I realized how re-addicted I had become to cooked foods. Throughout January, back in my living space in LA, I couldn’t go through one dinner without at least a portion of my meal being steamed or cooked. Maybe it was because it was cold outside, but I found myself craving cooked foods even when I normally only have juices or smoothies. And thanks to Victoria Boutenko, I know it IS physically possible to become addicted to cooked foods. In my mind, I struggled to not keep punishing myself over it, and kept telling myself I need to cleanse to start my high raw regimen again this year. But things like work, events, LIFE, etc. kept popping up and I would keep putting it off. Then right after Valentine’s Day, BOOM: the pain started kicking in. My top right wisdom tooth was sticking out further than it should be and with my bottom wisdom tooth coming out simultaneously, so both kept gnawing at my cheek flesh. It started swelling and I couldn’t eat. So the next day I hurried to the dentist, thinking it would be like the last time I removed my other wisdom tooth –not a big deal. Boy, was I wrong! I suppose the bottom one was hard for the dentist to remove because it wasn’t fully out. Well to say the least, it was the most excruciating pain, and to top it all off I don’t think the dentist injected enough anesthesia, so I felt some of my nerve endings going through the very depths of hell! I finally went home swollen-faced, trembling and teary eyed. And besides the pain, one of the things I loathed the most, is having to take painkillers. They also prescribed antibiotics as well, but my immediate reaction to that was ‘I’m not taking that SH**!’ Shouldn’t antibiotics only be prescribed if there is an infection? I want them to be effective on my body when I actually really, really need them. And this is why we have this super resistant bacteria epidemic! Antibiotics are being passed out like candy these days. I feel like calling the Dentist and saying “Hey dude, you know garlic, oil pulling, and other foods and supplements are enough to keep infections at bay. 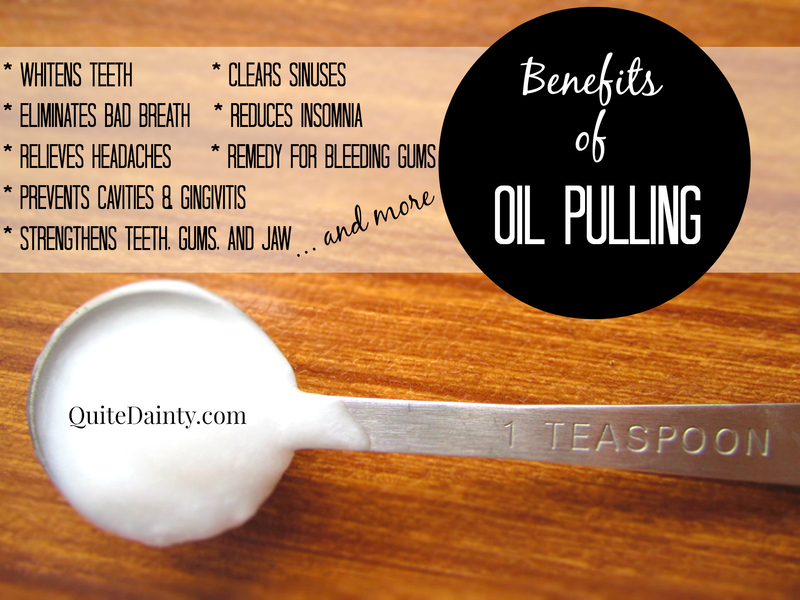 And prescribe pro-biotics along with it if you’re gonna be killing off all of my good and bad bacteria.” If you haven’t heard of oil pulling, look into it. It is such an amazing ancient dental technique to draw out toxins from your body and is known to improve oral health dramatically. A day passed, and I wasn’t even hungry because of the pain in my mouth and possibly the side effects of the pain killers. But I had to put something in my stomach. My stomach hurt a little and I found that it was because the pain killers destroy the lining of the intestines. I ate some raw aloe vera gel to aid this situation. And had chamomile tea. That really helped. I also went in on fresh juices. My love took good care of me and made me whatever I asked for. I had green juices, green smoothies, raw soups, fruit puddings, herbal teas and tonics. All I wanted to is to counteract the toxins of the pain killers and regenerate myself with high, alkaline super blends and juices. I also included lots of ginger, cloves, berries and other anti-inflammatory foods and herbs to relieve the swelling. The second and third day passed, and I still couldn’t chew on anything without any pain, so I kept the liquid raw diet regimen. I would just listen to my body and give it what it needs. It was then when I realized; Hey! I am on a cleanse! On the 3rd day, I noticed I look thinner and my metabolism has sped up even though I haven’t been able to workout. I’ve been sleeping more than usual and hydrating with lots of herbs and tonics. It was the raw cleanse and reboot I’ve been needing all along and practically forced on me because I didn’t have the guts to do it.Yay! This is King in my book for pain killers. Wow, this stuff is potent! I’d like to say as potent as marijuana, and free of any side-effects! I thank my sister in law for introducing me to this natural wonder during my stay in Miami. Kava is a Polynesian narcotic sedative drink from the crushed roots of a plant in the pepper family. 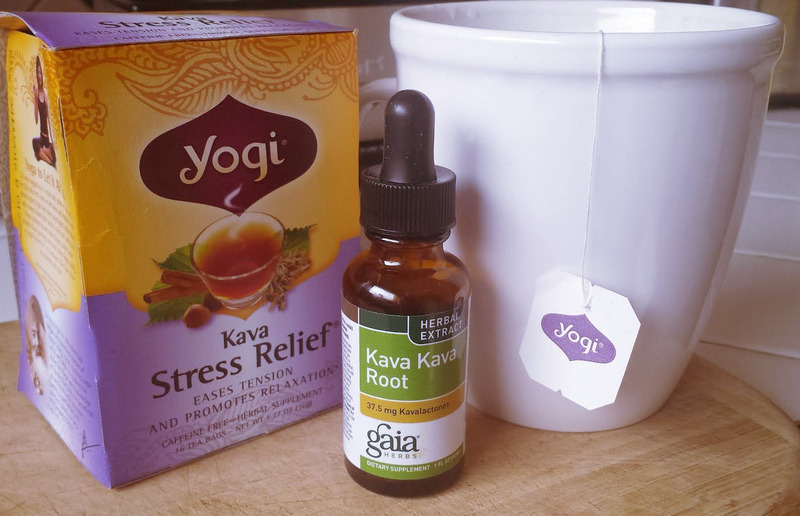 This tea basically calms nerves, and relieves pain with a numbing effect, almost instant! I remember this tea helping soothe chronic menstrual cramps as well. This time I had high doses of it every night before going to sleep ( I would also mix in a few drops of the extract with the tea), and it helped me sleep so much better than the prescribed pain killers. It’s amazingly effective! I am not much of a smoker, but when it comes to pain and other ailments I am definitely open to it because I firmly believe this is a medicinal plant that is on this planet to relieve people from imbalances. As Robert Morse, ND stated, tinctures are best. But I feel vaporizing is the second best method for me. Some studies have shown that it works just as well as mild opioid pain relievers like codeine (which is what they prescribed to me). I’ve also been rubbing essential oils on the afflicted areas (throat, jaw and cheek) and feel that it’s really helped me with emotional and mental uneasiness which impacts my ability to heal. I feel essential oils are a complimentary tool to provide relief not only from the pain but from the anxiety and stress that come along with the pain. I’ve used a peppermint, lavender, rosemary blend as well as a basil, sandalwood blend. You can read more about pain-fighting essential oils here. Last night I took out this Ormus bamboo oil massage blend I had and started rubbing it on my jaw and I felt some immediate relief in the pain department as well. I was very surprised at how instant that worked. I put this ormus oil in my coconut oil this morning for oil pulling. Today I no longer feel pain. Just some tingling and sensitivity near the afflicted area. This is the 4th day since my wisdom tooth extraction. Oh, I’m totally ready to let out my freaky self! Once this mouth heals 🙂 But really, I feel that this whole dental / pain experience I had holds significance in the time it happened. Perhaps it symbolizes my second chance in nurturing my body to start a clean slate for this new year. 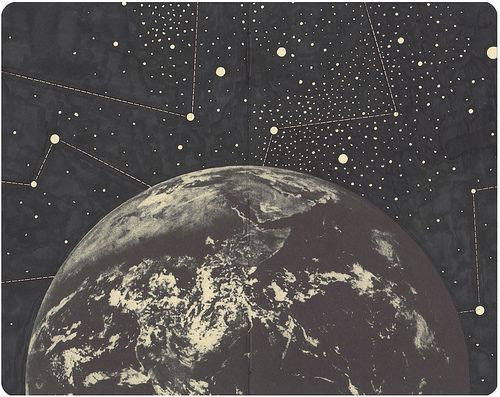 I did perform a little ritual / ceremony that night and finished putting together my soulful vision board that I’d been working on since last New Moon. So that’s great! And as I’m writing about all this I feel that it is also signifying a new beginning to my message and purpose that I will carry out through my writings on this blog, as well as through my art and my work that is currently developing and molding itself into healing and metaphysical expressions. And indeed, I am learning how to allow my life to evolve before me without having to fully understand every nook and cranny of it as it unfolds. So many things have been brought to my awareness through my healing process and just these last few months. I really feel that I’m making strides with my self-development and for this I am deeply grateful. Much love to you all. Thank you for reading and as always, feel free to leave a comment below. ORMUS: A New Age Supplement or MAGIC?